The last time I was in Aussie the Australasian SRAM HQ was being run out of Rob Eva's home office (it wasn't your average home office mind you). 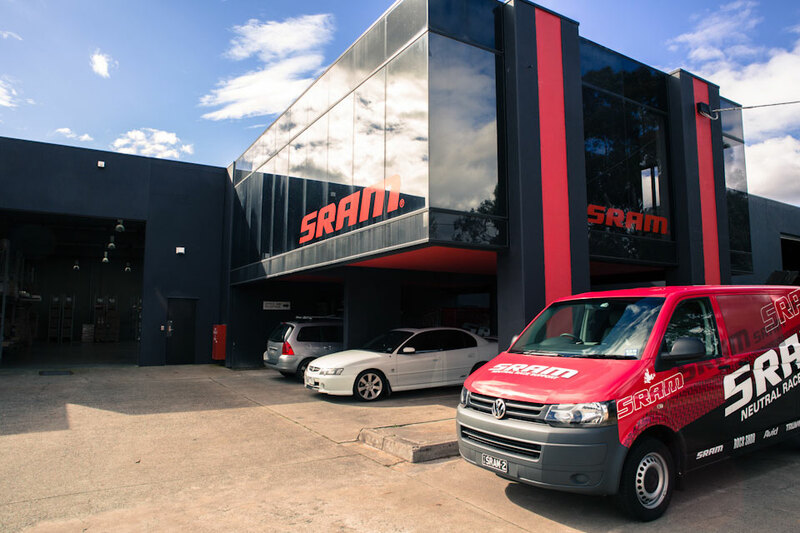 Recently however they've stepped up their game and set up their new service centre, showroom, offices and SRAM Technical University under one big red and black roof. Seriously this place is the things dreams are made of. State of the art workshops, the flashest work bathroom you've ever seen, and a showroom full of SRAM bling.